Originally posted on the Unreal Engine blog. When you’re working with the blueprint editor, it’s important to remember that context is king. If you right-click on a blueprint graph, you’ll get a list of actions that make sense in the context of the current blueprint and graph. For example in an Actor based blueprint, you’ll get offered actions that target an Actor, as well as ones that work in any context. Similarly, if you drag off of a pin and let go on the graph background, the action menu will be filtered to actions that take or provide a value matching the pin type and direction. The current context filter is always displayed at the top of the action menu, which can be helpful if you don’t see something you were expecting to find. This filtering helps you find actions and place nodes quickly, but it requires a bit of forward planning that doesn’t always match the way you think when solving a problem. You need a specific object before you can see actions for that object (e.g., you need a static mesh component before you can look for SetStaticMesh). The palette exists to help when you come up with the action before the target; it isn’t filtered by context and contains all possible actions. You can drag-and-drop nodes from the palette into the graph, just like you can drag your custom functions from the My Blueprint list. You can also disable the filtering in the action menu using the check box on the top right, but don’t forget about it, since it will stay unfiltered until you check the box again. You can search in the current blueprint or in all blueprints in your project (even unloaded blueprints!) using Ctrl+F or Ctrl+Shift+F. 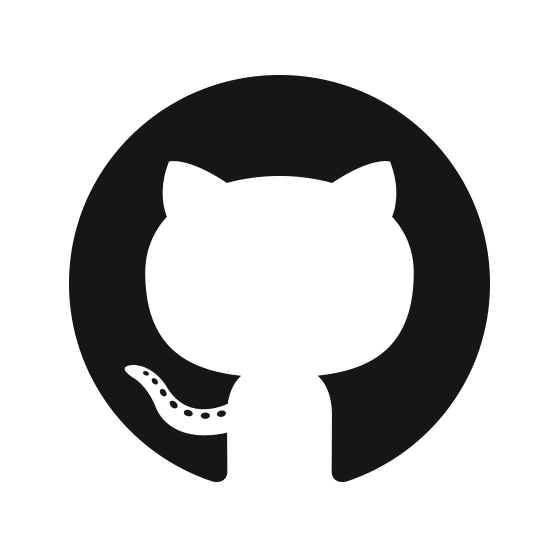 Almost anything can be searched, including references to a variable or function, comments, literal values, etc… There are also shortcuts to search for function and variable references in the context menu for your variables and user defined functions. You can also clean up unused variables using ‘Edit..Delete Unused Variables’ to help tidy up your BP. I’ve been working on UE4 for the majority of my time at Epic, and I can finally talk publically about all the cool stuff that went into it! We announced (and launched) a subscription plan last week at GDC 2014. 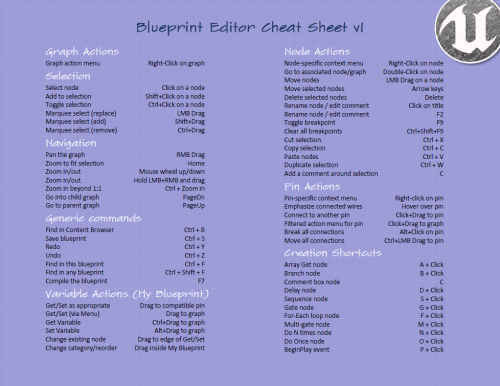 On a related note: I will also be blogging at unrealengine.com, starting today with a post on Blueprint Editor Tips and Tricks, including a printable cheat sheet of BP editor controls / shortcuts (Cheat Sheet or Printable version). Author Michael NolandPosted on March 26, 2014 March 26, 2014 Categories News, UnrealTags Blueprints, UE4, WorkLeave a comment on Unreal Engine 4 released!